Fresh and modern, the colours in this collection look great together. In each collection you will receive 1 tuber of each of the following cultivars. 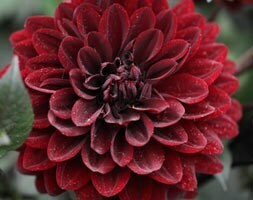 Dahlia' Rip City': A stunning cactus dahlia with red-black flowers and a black heart. The fully double flowers have long, narrow, pointed petals that recurve for more half their length and have a ruffled appearance. The flowers are produced from July until the first frosts. Try it in bold groups in a sunny, sheltered border. Grows to 150cm. 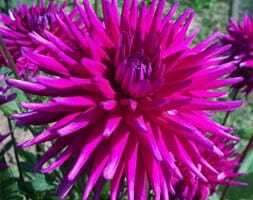 Dahlia 'Ambition' : This stunning cactus dahlia is a prolific bloomer, which produces masses of magenta-purple flowers, each up to 15 cm across, for a long period from midsummer. When in flower it will grab centre stage with its jaw-dropping display. It is particularly effective amongst other bruised-toned, summer flowers, or when potted up on a sunny patio. Grows to 90cm. 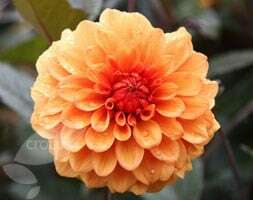 Dahlia 'Jescot Julie': Each ray floret (petal) has a delicious burnt orange upper surface, with a rich plum base, creating an interesting and colourful mix. They look sensational when mixed with deep, blood reds and dark golden tones. Growing up to 8cm across, the flowers appear in small clusters on the upright stems for a really long time from mid summer to the first frosts. They are also terrific when cut. Grows to 75cm.